Disability benefit eligibility issues and accommodation within the workplace go hand-in-hand. As an Employment law firm, we encounter many clients whom are no longer able to work due to their disabilities, have been denied legitimate requests for accommodation or even terminated by their employer, and have been subsequently denied disability benefits by their insurance company. In such actions, it is more beneficial to start up a singular action against the insurance provider and employer. It is not only cost effective, but also provides an additional safeguard for the employee. In long term disability denial cases, the question will be whether the individual is “totally disabled” within the meaning of the plan and policy. By bringing this issue before a court in an action against the insurance company and employer, Plaintiffs have a distinct advantage. If the judge finds that the Plaintiff is totally disabled within the meaning of the plan and policy, then the Plaintiff is owed disability benefits. If the judge does not find that the Plaintiff is “totally disabled” and is able to work, the employer may be required to reinstate the employee with accommodation where required. This also pits the insurance company against the employer in terms of attempting to prove one way or the other the total disability. In the arbitration case of Calgary District Hospital Group v. U.N.A, Local 121-R. (1994), 41 L.A.C. (4th) 319 (Ponak), for example, a nurse who had suffered a permanent back injury while she was employed was dismissed from her nursing position because her employer held that she was unable to perform her job duties. While she was not found “totally disabled,” she did not have a job to return to either. When the matter proceeded to arbitration, the employer was ordered to “make it work” and to create a “new bundle of duties” for the employee. 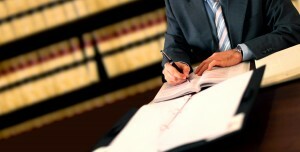 There is also an advantage to including human rights damages in your claim. Disability benefits, human rights damages, and reinstatement have been awarded together previously. Discussed in “Top Five Employment Law Cases of 2014” , Hamilton-Wentworth District Schoolboard v. Fair, 2014 ONSC 2411 (CanLII) made waves in the employment law sector when Fair, whom suffered from general anxiety disorder and eventually depression, left work on disability leave. Her employer decided to cease accommodation and terminated her on leave. She was awarded reimbursement for medical expenses incurred while on disability leave, back pay for nine years, and reinstatement, as well as human rights damages in the sum of $30,000.00. The decision was affirmed on appeal. Awarding human rights damages in wrongful dismissal cases is still a (relatively) new reflex for Ontario courts: Wilson v. Solis Mexican Foods Inc., 2013 ONSC 5799 (CanLII), decided in 2008, was the first decision in which the court utilized section 46.1 of the Ontario Human Rights Code, R.S.O. 1990, c.19, to provide a civil remedy for a human rights claim. Wilson was awarded both $20,000.00 in general damages for human rights violations as well as three (3) months’ notice. If you’ve been terminated or your employer has refused to accommodate your disability, and you’ve been subsequently denied long term disability benefits through your employer’s insurance plan, you may have a legal remedy available to you. Contact Monkhouse Law today to see what your options are, and how an Employer can assist you in both your wrongful dismissal/human rights claim and your insurance claim.